Assistive robots have received considerable research attention due to the increase of the senior population around the world and the shortage of caregivers. However, limited attention has been paid to involving seniors in the design process in order to elicit their attitudes and perception of having their own robot. This study addresses this issue. We conducted a workshop with 14 Swedish seniors age 65 to 86. 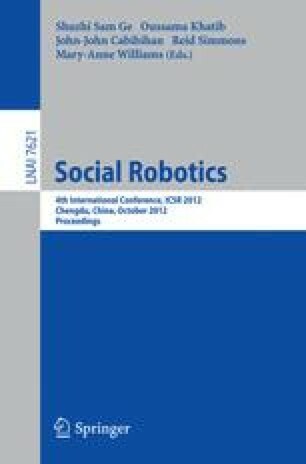 The findings indicate that: (1) the functionality of the robot is far more important than the appearance; (2) the usefulness will determine the acceptance of a robot; (3) seniors feel it is important to keep up to date with new technological developments; (4) assistive robots were not perceived as intrusive and having a robotic presence in the seniors’ bathrooms and bedrooms was considered acceptable. These findings suggest that seniors are prepared to give assistive robots a try if the robot is perceived as useful.